Personalized custom printed plates are de rigueur for any southern tailgate. Our sturdy plastic plates, custom printed with our exclusive Collegiate Collection art , may be found at every SEC stadium during football season. We have tailgate plates for Texas A & M, Alabama, Arkansas, Auburn, Georgia, Louisiana, Ole Miss, Tennessee, Texas, USC, and Vandy. 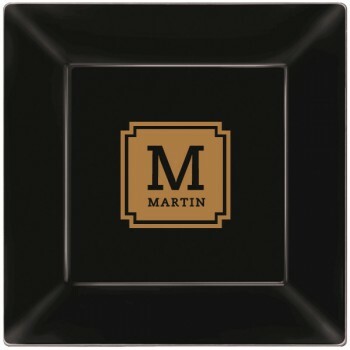 Order our round plastic personalized plates for the main course and throw in a coordinating smaller square plastic plate for dessert. 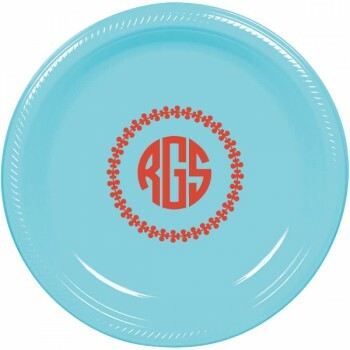 Our great looking and practical plates may be monogrammed for wedding cake plates or weding parties, personalized with a family name for family reunions, and are fantastic for church and school functions, barbecues, crawfish boils, and even backyard entertaining. 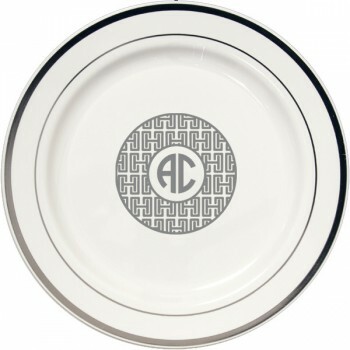 Custom printed plates are available in round, square, and premium styles and multiple sizes.